At first, I thought it simply so many more examples of the morons mainstream media hire to report the news. But, it was more than that. Much more. As the days and weeks passed, it became apparent to me that mainstream media’s intentional mistake was a deliberate attempt to make the terms “white nationalist” and “white supremacist” synonymous in the eyes of the viewing/reading public. So, it has come to pass. Facebook has announced a ban on the speech of white nationalists (actually synonymous with “patriots” who happen to be white), claiming that they are nothing more than white supremacists. So, the clowns at Fascistbook actually had one right the first time. American “nationalism” is synonymous with “American pride,” i.e., “patriotism.” Now, the social media Nazis have come full circle, completing their mission of linking American patriots who happen to be white with white supremacists, just as was the plan from the beginning. White supremacists are garden variety bigots, racists. White nationalists are patriots. 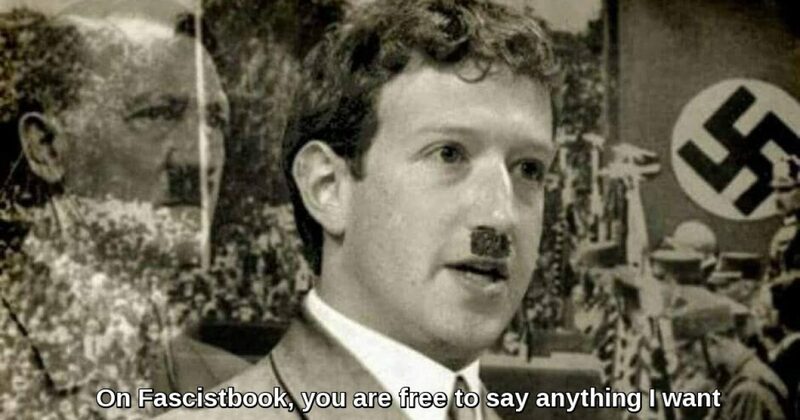 Now Fascistbook has succeeded in painting all American patriots who happen to be white as white supremacists, but only with those stupid enough to believe them, literally tens of millions of brain-dead leftists who enjoy no capacity to think on their own. But civil rights groups and academics called this view (not linking white nationalists with white supremacists) “misguided” and have long pressured the company to change its stance. Facebook said it concluded after months of “conversations” with them that white nationalism and separatism cannot be meaningfully separated from white supremacy and organized hate groups. If you consider yourself an American patriot, you are now on notice that you have no First Amendment rights at Fascistbook. You can be banned at any time, as I was in October, 2018 for the crime of “violating community standards,” i.e., being an American patriot. Patriotism is not welcome in Silicon Valley. How long before people are jailed for reciting the Pledge of Allegiance? Be very afraid, patriots. The left will use every means at its disposal to silence you. That is the first step in your ultimate removal. Yet Farrakhan called Jews termites the week before the Pittsburgh Synagogue Shooting and is still allowed on Facebook.